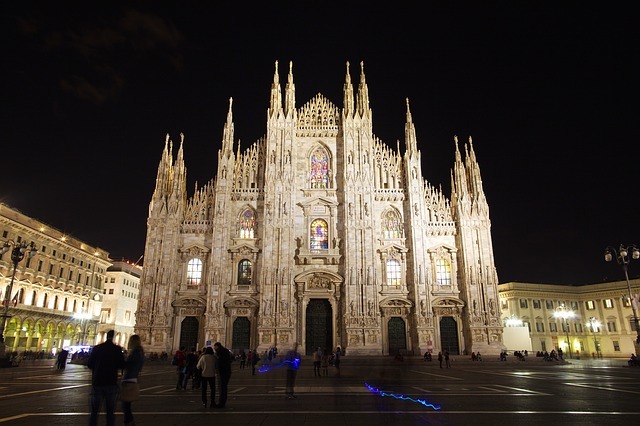 As the fifth largest church in the world, the Duomo di Milano or Milan Cathedral continues to amaze travelers. Centuries after the cathedral’s first stone was placed, it remains an icon of classic beauty in this cosmopolitan city. 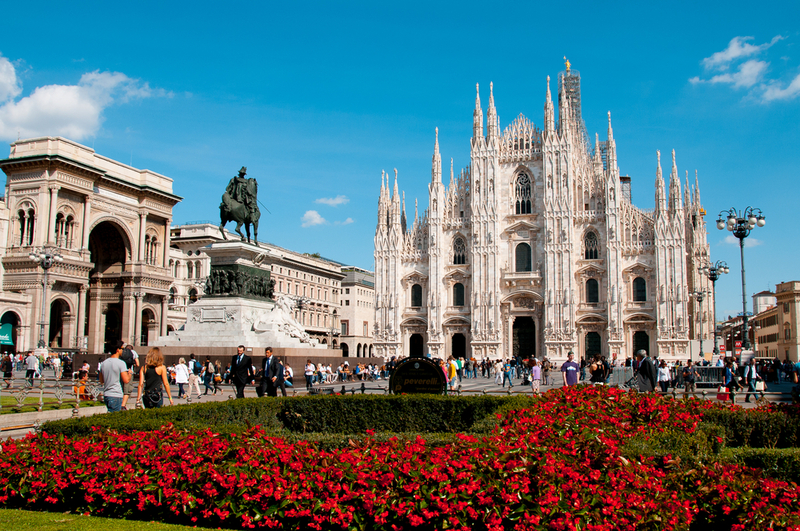 Learn more about this iconic Milanese landmark in this guide. Considered the largest church in Italy—St. Peter’s Basilica, after all, is in Vatican City territory—the Milan Cathedral is one of the country’s enduring icons. Built in the Gothic style, the cathedral was constructed over the course of a few centuries, starting in 1387 and its last gate being only inaugurated in 1965. This was owing to its very ornate design and gigantic size. In fact, it can fit up to 40,000 churchgoers! 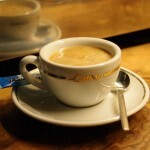 Hence, it is to Milan what the Sagrada Familia is to Barcelona: something that’s well worth the wait. Dedicated to Saint Mary of the Nativity, the Milan Cathedral was actually built over the former Basilica of Santa Maria Maggiore and the Cathedral of Saint Thecla. In fact, travelers can still see the remains of these churches and the baptistery where Saint Augustine was baptized. And speaking of history, there are also some historical events that took place in the cathedral. One of these was the coronation of Napoleon as King of Italy in 1805. Yet even without these events, the design of the Duomo is enough reason to visit. Made out of white marble, the façade of the Milan Cathedral is impressive from the get-go, especially after the restoration work that was completed in 2009. 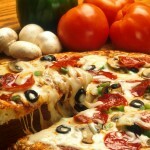 However, you will get to appreciate it more when focusing on its details. Check out its ornate spires and the thousands of sculptures out in front. Or count the gargoyles—there are 135 of them, the most in any church in the world. This is all lit up at night by an LED lighting system, which was installed in 2015. 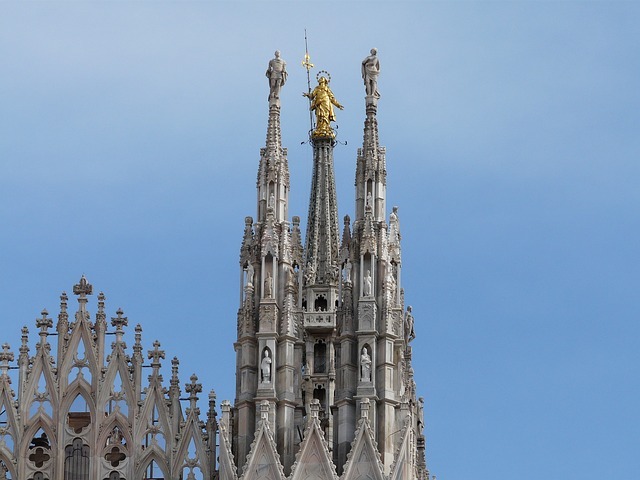 No talk of the Milan Cathedral will be complete without mentioning the Madonnina, the symbol of the city. The gilt bronze statue of the Virgin Mary stands at the tallest spire of the cathedral, once the highest point in the city. While this spire is not the tallest structure in Milan anymore, the tradition that no building should be higher than the Madonnina still persists. How? Skyscrapers in the city have installed replicas of the Madonnina on their highest points, continuing the custom. The grandeur of the Milan Cathedral continues indoors. One of the first things a traveler would notice upon entry are its tall stained glass windows, which were installed in the 19th century. There is also a sundial on the floor, near the main entrance. Installed in 1768, it’s still very accurate; many clocks throughout Milan still follow the time the sundial dictates. Of course, no church would be complete without an altar. In the Milan Cathedral’s case, there’s three of them, designed by architect Pellegrino Pellegrini. To the left of one of these altars is the statue of Saint Bartholomew Flayed by Marco d’Agrate, with the saint wearing his flayed skin like a stole over his shoulders. Due to its very fine details—and quite macabre subject—the statue is one of the most popular pieces in the cathedral. But it doesn’t end there. Look up to the dome, above the aspe, for a small red light bulb. It’s not a random decoration. This actually marks the spot where a nail, allegedly from the cross of Jesus Christ, is stored. This is brought down every September during the Rite of the Nivola, publicly displayed for two weeks, then returned to its case. Other important works found in the cathedral include many sarcophagi of previous archbishops of Milan and a monument to Gian Giacomo Medici, Duke of Marignano. The Quadroni of Saint Charles Borromeo, a series of paintings, is also displayed in the cathedral from November to December. Do not confuse the Cathedral with the Basilica of Sant’Ambrogio, or the Basilica of Saint Ambrose, which is an entirely another church in Milan. Make sure to dress appropriately when visiting the Cathedral. Refrain from wearing sleeveless shirts and shorts. Otherwise, just have a scarf or a wrap-around for your visit. Please observe proper decorum during your visit. The Cathedral is still a place of worship; refrain from talking loudly and horsing around inside the church. 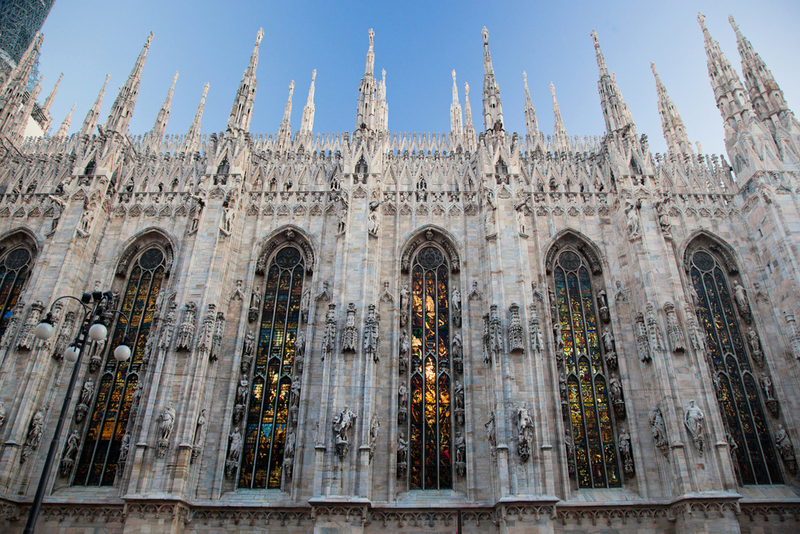 If you have the time, join a tour to the Milan Cathedral’s rooftop. This will give you one of the best views of the city; on clear days, you can even see the Alps.